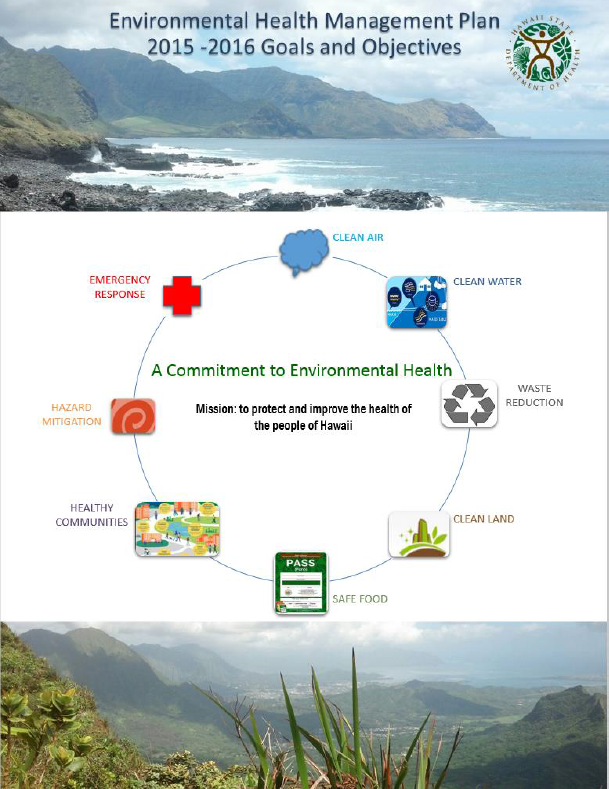 In cooperation with all of the Environmental Health Administration’s (EHA’s) Divisions, Branches and Offices, the Environmental Planning Office (EPO) develops and distributes an annual Environmental Health Management (EHM) Report. The Report provides information on EHA’s past accomplishments, as well as its goals and objectives for the coming year. The Report is based on data that is collected and used to measure environmental quality and/or progress made in the protection of human health and the environment. Click on the following report images or links to open the report .pdf file for the respective year. In previous years this report was known as the “Indicators of Environmental Health.” Please contact us for previous versions of the “Indicators of Environmental Health” Report. A topic that requires deep thinking.